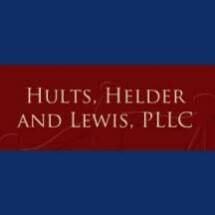 Hults and Helder, PLLC started as a sole practice in 1974. Our office is complemented by highly trained, long-term and experienced staff who are knowledgeable in the legal matters handled by the firm. In our areas of practice, there are some overlaps in which both members of the firm regularly practice. There are also certain areas in which only one of the members provide services. We believe that our mix of services, combined with experience offers both competent and professional advice and services with depth and professionalism. Our general office hours are Monday through Thursday from 8:00AM through 5:00PM. We have an automated answering voice mail forwarding system available when the office is closed. In addition, other hours are available by specific prearrangement. Our office offers ground floor non-ramp access to our comfortable conference and meeting room for those with physical illnesses or disabilities. In some areas of our practice (notably estate planning and business law transactions) we frequently meet with clients outside of the office in their homes and businesses. An occasion may arise requiring the expertise of other professionals or even other lawyers in certain specialty areas of the law. We have developed relationships with other professionals and other specialty attorneys to provide assistance or direct referrals so that a client's needs are fully and professionally addressed. Monday through Thursday from 8:00 AM through 5:00 PM and Friday from 8:00 AM through 3:00 PM however our attorneys are often in the office after hour so please call anytime. If not we are available you will receive directions for leaving a message for one of our attorneys.